Not all news is good news. Hello friends and family. After careful consideration, I have decided to push back the release date of The Lost Door until next year. Between being sick for the past month and some other personal things I am working through, it has become apparent that I need to put my health and family first, especially during this holiday season. Everything is fine, I just realized I should probably capitalize on the greatest benefit of self publishing: setting my own deadlines! Although The Lost Door is almost completed, there are a few things I do not want to rush, final edits and formatting topping that list. So I will take my time, allow myself to heal, and make the book it’s best possible version. As soon as I land on a new release date, y’all will be the first to know. Thank you so much for your support, patience, and understanding these last few months. Hey Friends! Now that the sequel is deep in editing and my cover is almost finished, I’m looking for several bloggers to work with me on the Blog Tour for the release! My original dates of an early December release are still looking good, so as of right now, December 5th is the start date. 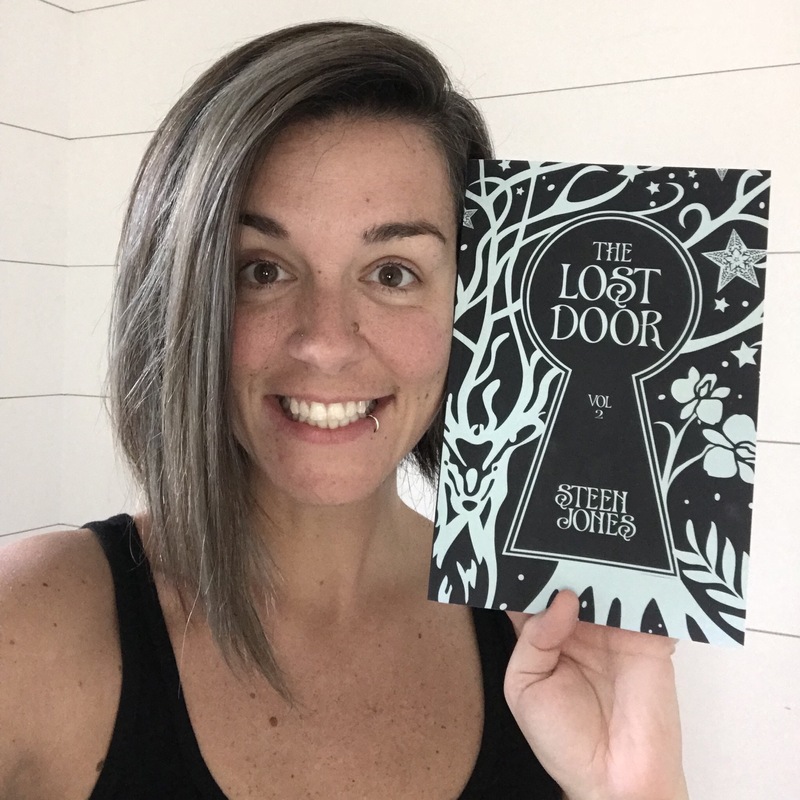 If you have a blog, or would just love to read and review the book and help me promote online and on social media, send me an email at steen@thedoorkeepertrilogy.com and I’ll send you all the information and make sure I get you a spot on the tour! Here is all of the official information for the book! So exciting! Calling all sons and daughters! I’m excited to announce a fun and different type of contest I’m running for Mother’s Day. Do you have an awesome, inspiring, funny, quirky, intelligent, or accomplished Mom? Does she deserve to have a character in a book inspired by her? Do you think she should be immortalized in the written word forever? The Door Keeper revolves around a mother/daughter bond and the legacy that surrounds family. So to honor my story and mothers worldwide, I’ve decided to write a new character based on one of your moms. Anywhere on social media, tell me 5 reasons your mom deserves to be a character in the sequel to The Door Keeper. It can be a normal post, a picture, or a video. Just make sure you tag me to be entered. (Feel free to use the hashtag #doorkeepermom so you can see other entries.) On Sunday, May 14th, I will choose a Mom to become a new character in the next book. I’m so excited to get to know your mothers over the next 10 days! Enter early and share this post to give other people the opportunity to submit their moms. I plan on sharing some of the entries on my blog, so yours could be featured. Who knows, if more than one speak to me, I may decide on more than one winner!